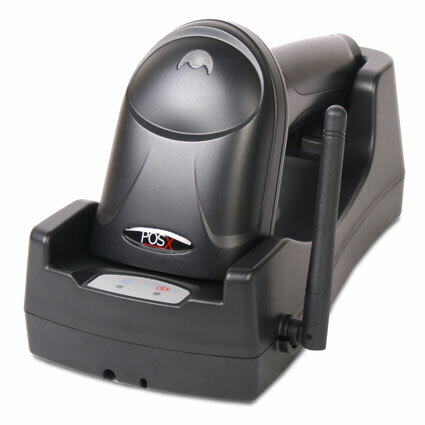 The POS-X XI3200BT barcode scanner is the ideal solution for any retail or light industrial business needing mobility at a low price. 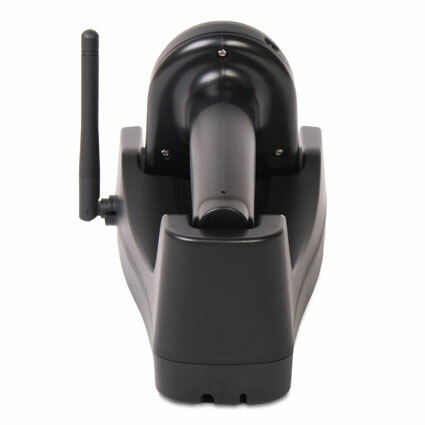 The XI3200BT features a BlueTooth class I radio, giving you 328 feet of radio range from the communications cradle or any BlueTooth enabled laptop or mobile computer. The linear imager in the XI3200BT has an optimal scan of up to 14 inches for 15.6 mil barcodes and can decode all standard 1D symbologies. At 5.6 ounces, the XI3200BT is incredibly lightweight, minimizing arm fatigue from extended use. The lightweight design, when coupled with the lack of moving parts, make the XI3200BT strong enough to withstand multiple 6.5-foot drops to concrete. 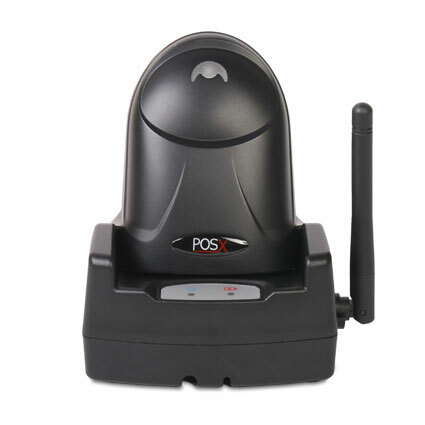 This combination of rugged design and POS-X´s 3 year warranty make the XI3200BT barcode scanner the smart choice for any retail or light industrial business. Scanner: 2.9" x 3.6" x 6.9"
Cradle: 4.37" x 7.92" x 2.76"